Winemaking Ambassador DLynn Proctor Thursday, June 5 at 6:30 p.m.
Charlie Palmer’s Aureole at Mandalay Bay Resort and Casino will partner with Penfolds for an exclusive wine pairing dinner Thursday, June 5 at 6:30 p.m. Penfolds, a renowned Australian wine producer, was founded in Adelaide in 1844 by Christopher and Mary Penfold. The winery is one of the oldest in Australia and produces varietals such as Shiraz, Cabernet Sauvignon, Chardonnay, Riesling and Grenache. Each course of the dinner will be paired with Penfolds’ exquisite wines, as selected by the evening’s hosts, Mandalay Bay Director of Wine Harley Carbery and Penfolds Winemaking Ambassador DLynn Proctor. Tickets are priced at $225 per person, all-inclusive. To make a reservation, call (702) 632-7401. Guests must be 21 years of age or older to attend. 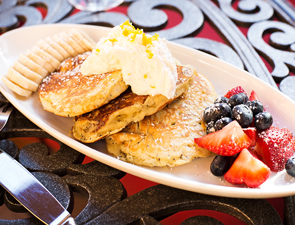 Eat well and do good at Poppy Den’s Bubbly Brunch on Sunday, May 18 to support AFAN. Soak in the sunshine on the spacious garden patio while Chef Angelo Sosa serves up Western-inspired items including grilled steak and eggs, poppy seed pancakes with berries and whipped cream, brioche French toast with vanilla sauce and caramelized bananas and the acclaimed Poppy Burger with French fries. No brunch would be complete without bottomless mimosas, Bloody Marys and bellinis for $18 a person. Ten percent of all food and drink proceeds from the day will benefit AFAN’s client service programs that assist in enhancing the physical health and wellness of the local community they serve. Mandalay Bay will set the stage for a fun and interactive culinary competition between two of the leading beverage experts in Las Vegas Wednesday, May 21 at 7:30 p.m. at miX Restaurant. 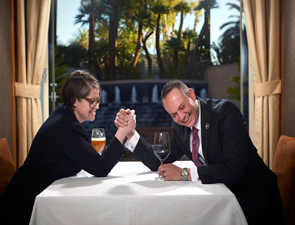 Hosted by Mandalay Bay’s Director of Food and Beverage and Certified Cicerone Sarah Johnson and Director of Wine Harley Carbery, the exclusive dinner menu, created by miX Executive Chef Bruno Riou, will pair each course with a beer and wine selection. 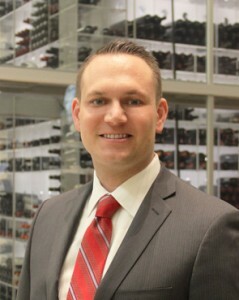 Carbery will explain to guests why his wine pairing is the best choice followed by Johnson, who will entice guests to select beer as the ideal pairing for a specific course. The two will go head-to-head throughout the culinary experience with the assistance of Winemaker Russell From of Herman Story Wines and Brewmaster Matthew Brynildson of Firestone Walker Brewing Co.
After each course, guests will determine the winner of the battle by a round of applause to show their support for #TeamWine or #TeamBeer. One team will be crowned champion until the next chapter of this interactive and unparalleled rivalry continues. Future events will be announced at a later date. Tickets are priced at $125 per person, exclusive of tax and gratuity. To make a reservation, visit miX in Las Vegas online. Guests must be 21 years of age or older to attend. For additional information and high-resolution images of miX Restaurant, click here. 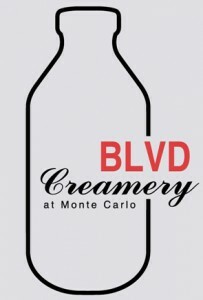 Creamy slow-churned ice cream and trendy treats blend together to create a sweetly indulgent experience at BLVD Creamery, the contemporary ice cream shop now open at Monte Carlo Resort and Casino. Pops of vibrant pastel colors set against bright white walls and an upbeat soundtrack of indie alternative and post-punk new wave tunes welcome guests of all ages into a dreamy world of imaginative ice cream flavors, sundaes, popsicles, shakes, flavored milks, floats and ice cream sandwiches. Monte Carlo’s skilled pastry team flavors and churns each creation to silky smooth perfection daily, but cows deserve some of the credit too. Every delectable treat is made from all-natural milk and cream. Twenty-four ice cream and sorbet flavors from a rotating roster of quirky combinations are available each day. Guests can stick with traditional vanilla, chocolate and strawberry, of course, or excite their taste buds with flavors such as #WTJ, watermelon sorbet infused with jalapeño; Suds Sorbet, made with Shock Top beer; or B.T.A., ice cream created with avocado, oven-roasted tomatoes and bacon. Ice cream sandwiches may be made to order and catered to each guest’s preference whether they enjoy their ice cream sandwiched between cookies, waffles, brownies or donuts. Cereal flavored milks (Cocoa Puffs anyone?) get straight to the point giving guests what they’ve wished for since childhood: sweet flavored milk without the formality of eating an entire bowl of cereal. These are just a few of the unexpected delights that lace the menu at this lively creamery. BLVD Creamery is the final venue to open as part of the major transformation that took place at the resort. The entire front facade has been recreated into a gathering place where visitors can take in the city’s robust sights, sounds and flavors. In addition to BLVD Creamery, the new plaza features Yusho, a Japanese-inspired grill and noodle house; Double Barrel, a casual roadhouse restaurant and bar concept by leading hospitality experts at sbe; Sambalatte, the ultimate coffee experience; and 800 Degrees Neapolitan Pizzeria, serving build-your-own personal pizzas in an 800-degree wood-burning oven. BLVD Creamery is open 11 a.m. - 11 p.m. Retail items are available for purchase for those wishing to commemorate their cool experience.